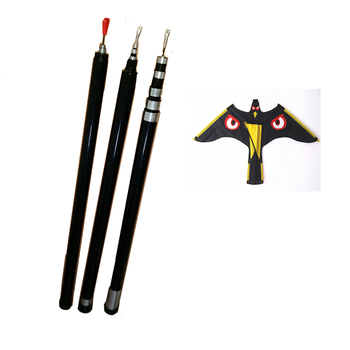 Fiberglass telescopic bird pole is one kind of the tool for bird control or called bird scarers. 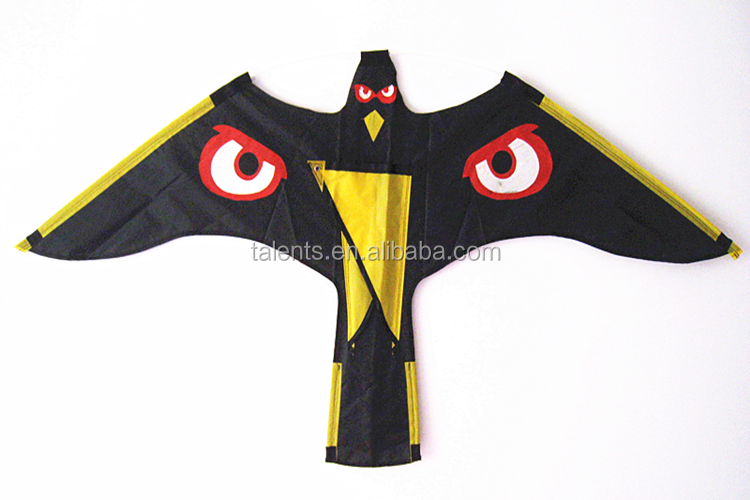 It is usually used together with a bird kite which have the deterrent to common birds. The control bird poles are usually used in agricultural fields, landfill, airport and so on. 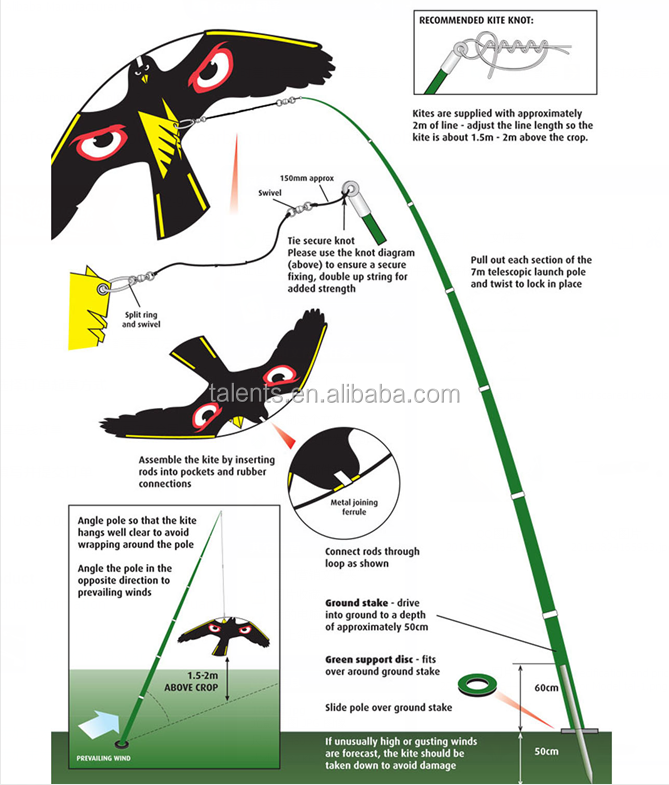 Compared with other methods, this approach is harmless to birds, environmentally friendly. 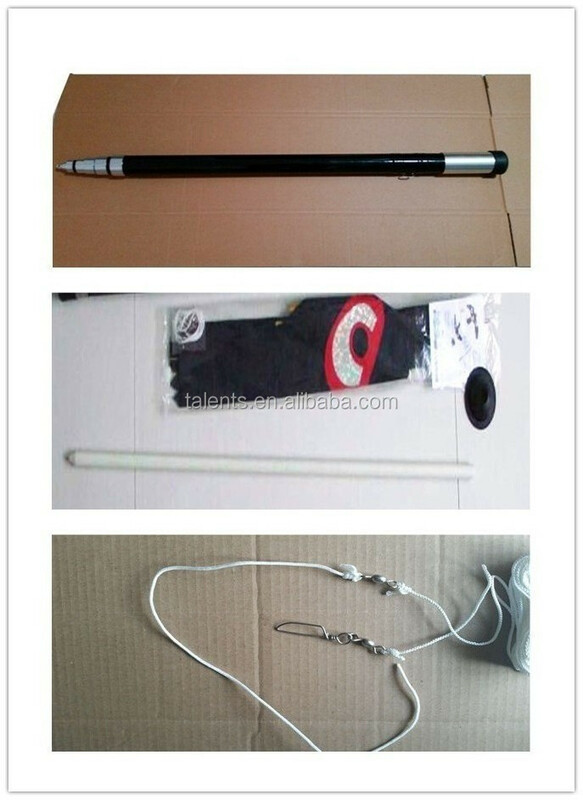 Based the different application,the usable length arange from 5m to 10m. Birds Controlled arrange: Our bird scarers (telescopic bird pole) are good for large birds like pigeons, rooks and geese also small birds like starlings and sparrows, blackbirds, finches etc. Tianjin Talents International Trade Co., Ltd. was registered in Tianjin China in 1995, from then on, we devoted ourselves to the handlings of the supply to the oversea markets of fiberglass products,especially in fiberglass duct rod, fiberglass poles and special shaped products.Tianjin Talents is the Gold Supplier in Alibaba,we can provide Trade Assurance to ensure the safe of your money.We will provide the customized service and the professional after-sales service.